2017 SkillsUSA WorldTeam. Click to view full size. WorldSkills International (WSI) is a nonprofit membership association open to agencies or bodies that have a responsibility for promoting vocational education and training in their respective countries/regions. WSI operates worldwide and is politically and denominationally neutral. WSI provides a unique means of exchange and comparison of world-class competency standards in the industrial trades and service sectors of theglobal economy. The continued growth of WSI attests to the fact that traditional trade and craft skills, along with the newer technology multi-skilled vocations, make an essential contribution to the economic and social well-being of people everywhere. As a freestanding, nonpolitical organization, WSI provides a cost-effective means for international government and industry cooperation in achieving higher standards and status for vocational education and training on a worldwide basis. WSI is an international, member-driven organization that works through collaborative efforts to raise the awareness of skilled professions. Currently, there are 50 member countries. SkillsUSA joined the international organization in 1973 and competed for the first time in 1975. To view SkillsUSA’s team member selection procedures, visit this page. The first competition was held in 1950 in Madrid, Spain. Germany hosted the most recent WorldSkills Competition in Leipzig in 2013. As many as 200,000 spectators, public policymakers, employers, teachers, trainers, technical experts and government officials from around the world attend the biennial competitions. 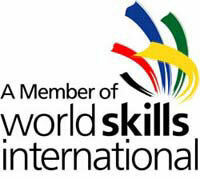 To learn more about WSI, visit: http://www.worldskills.org.